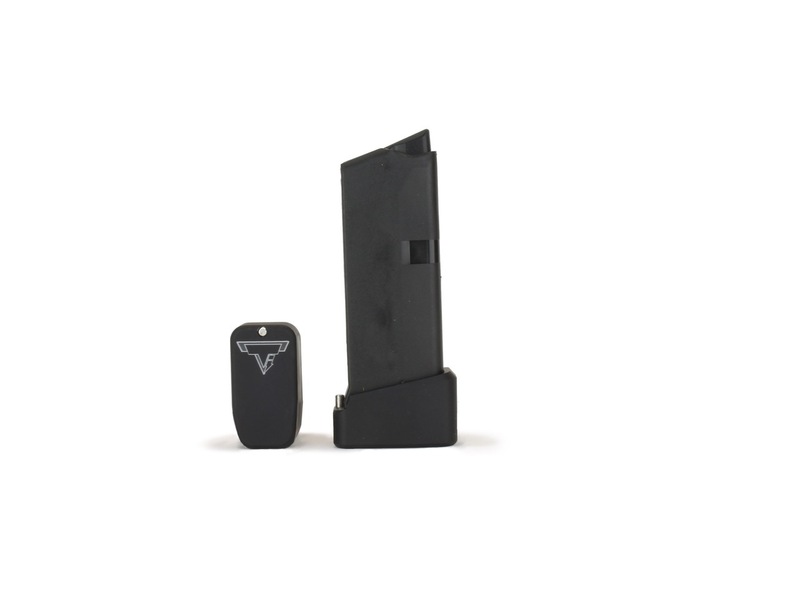 The Taran Tactical Innovations Glock 43 + 3 base pad and spring is a great addition to your Glock 43 pistol. 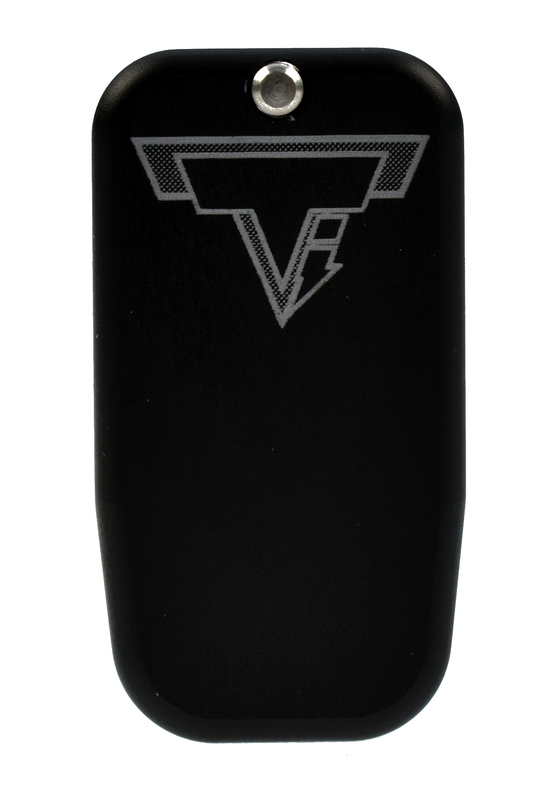 The larger capacity base pad will allow 3 more rounds in the magazine, the larger base pad will allow you have a more comfortable grip on the gun, recoil control will be improved greatly. TTI uses a patented push pin design to attach the base pad to the magazine, no tools will be needed allowing you to clean your magazines on the range in a timely manner. 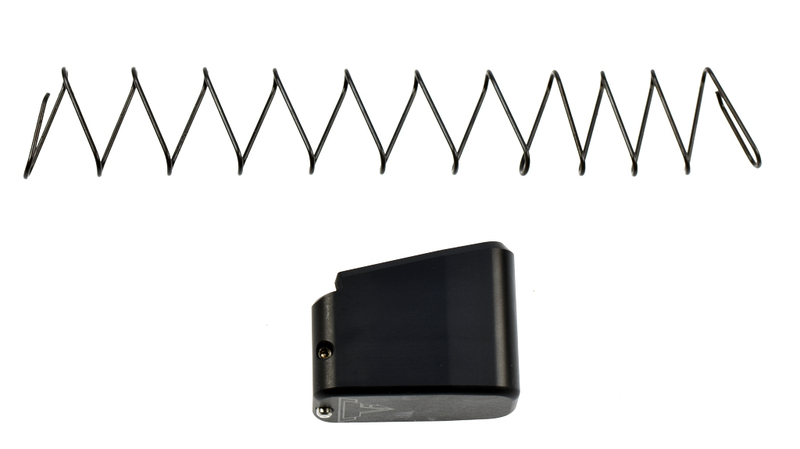 Also included is a 10% stronger silicon carbide spring which will aid in consistent magazine feeding. All TTI base pads are manufactured in the USA of billet aluminum and hard anodized for long lasting color. - Length, 1 1/4-inch front side, 7/8 Inch on back side.